Service station on Oxford Road in Cowley. Page last edited 2012-03-08 23:08:34 (version 1). 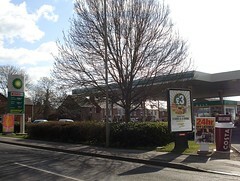 Service station on Oxford Road in Cowley, incorporating a BP petrol station, a car wash, a Costa Express, a 24-hour off licence, a Subway franchise, and a Spar.